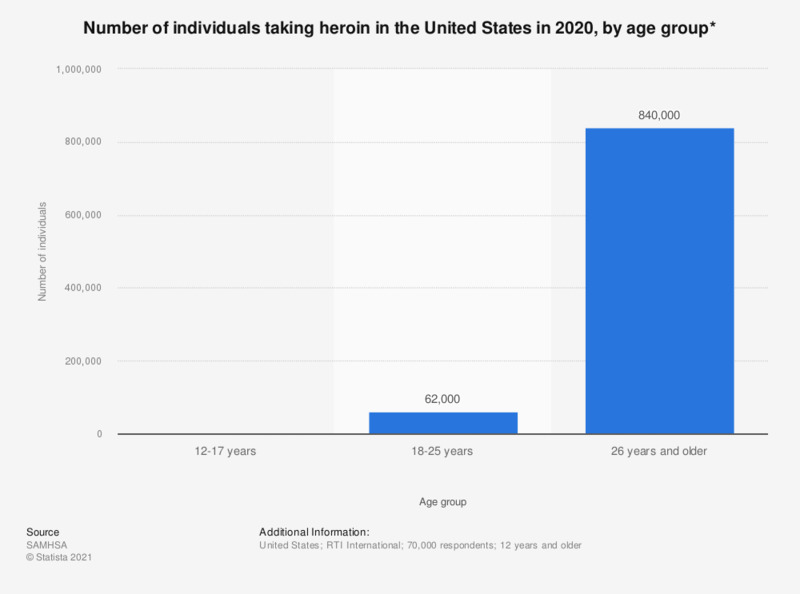 This statistic shows the number of individuals consuming heroin during the past year in the United States in 2017, by age. As of that year, around 658 thousand individuals aged 26 years and older consumed heroin in the past year. * Heroin use within the past year. Have you had an overdose within the last year? Have you had an overdose sometime, within last year or in the last four weeks? What substance have you injected with a syringe within the last four weeks?